Sitting at the crossroads of the equator and the high Andes, this small country encompasses an extraordinary diversity of geography and climate, and this comfortable journey takes you to its contrasting landscapes, lifestyles and cultures. The trip begins in the capital, Quito, a UNESCO World Cultural Heritage Site, which sits amid a bowl of snow-capped mountains and active volcanoes; and continues south, along the Avenue of the Volcanoes via the Inca ruins of Ingapirca, to the beautiful colonial city of Cuenca and the upland wilderness of Las Cajas National Park. Day 8: From Andes to the tropical coast at Guayaquil. Those passengers arriving on an international flight will be met by the tour leader or local representative and escorted to the group hotel. The active volcano Guagua Pichincha, to the east, glowers over the dynamic city which, at 2,850m, is one of highest capital cities in the world. 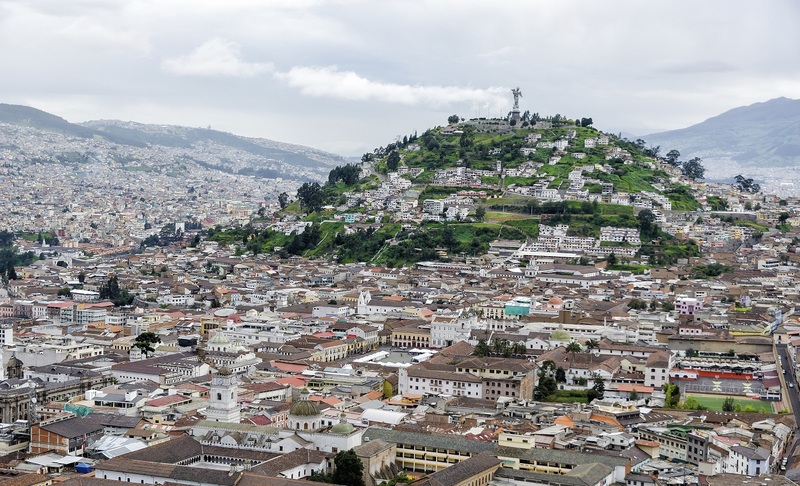 Quito is divided into two contrasting districts. The modern zone is characterised by towering glass buildings and houses banks, international companies, hotels, shops and restaurants, while the central colonial area where your hotel is located has well-conserved and recently spruced-up white-washed architecture, open air markets and graceful Spanish-style mansions and churches. Your guided city tour includes a visit to the equatorial line at Mitad del Mundo, a short drive north of the city. It's not a spectacular site in itself but you can pose for photographs with a foot in either hemisphere and there is an interesting museum nearby, as well as some wonderful views over the surrounding volcanoes. Day 3: Morning in Quito - Avenue of the Volcanoes - Riobamba. 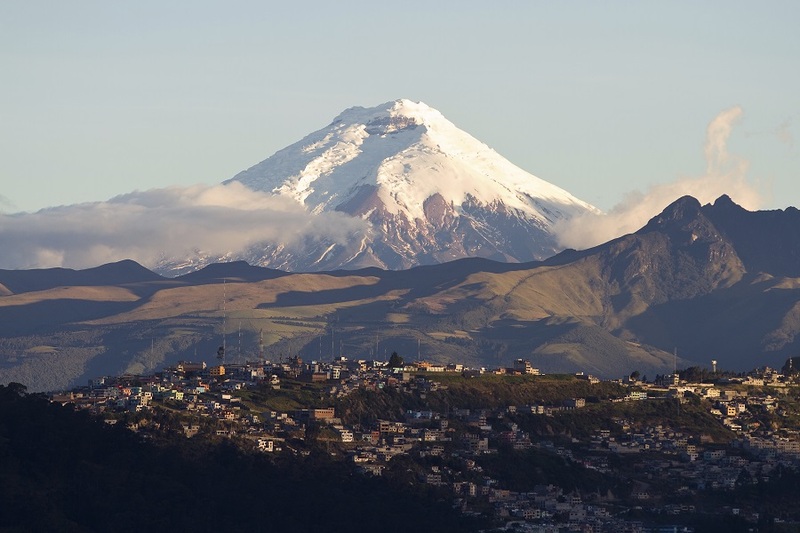 The morning is free to further explore some of the sights and sounds of Quito, before in the early afternoon we head south towards the 'Sultan of the Andes' - Riobamba. 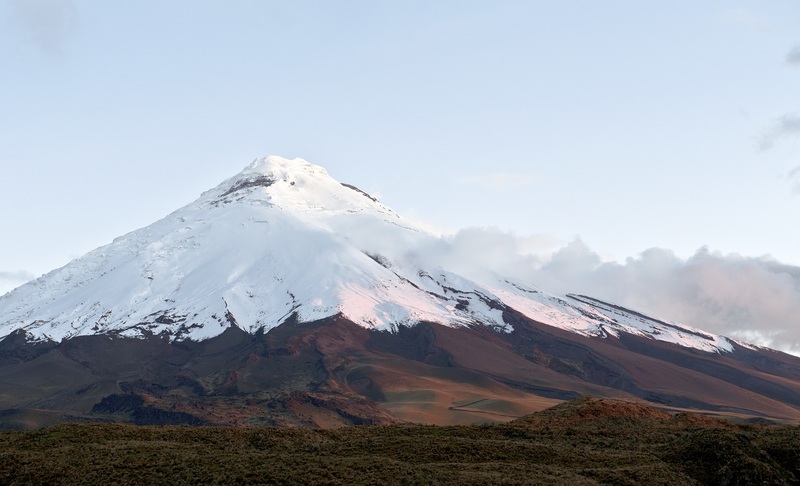 Travelling down the spellbinding Avenue of the Volcanoes, you pass iconic peaks such as Cotopaxi and Chimborazo. 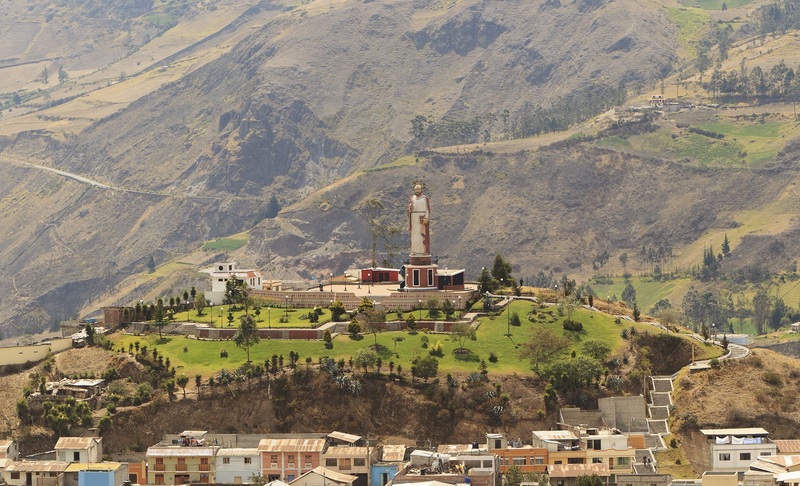 Spend the night in a traditional hacienda on the outskirts of Riobamba. Up early and continue south towards the town of Alausi. Once there we board the train for the exhilarating journey down towards the Devil's Nose, named after the shape of one of the mountains as it rises steeply from the bottom of the valley. This part of the track drops dramatically in altitude, the train descends on a series of switchbacks as you slowly leave the crisp mountain air and scenery for the warmer tropics of the lowlands. Continue by private vehicle to Cuenca, via Ecuador's principal Inca ruins of Ingapirca. The remains of the buildings in this raised site date back to the end of the 15th century, before the Spanish conquistadors took hold of the region. The architecture bears all the hallmarks of Inca construction, with some fine mortar-less stonework and typical trapezoidal niches and doorways. Archaeologists believe that the main structure, known as The Temple of the Sun, was used for religious and ceremonial purposes. Today, however, it simply provides welcome shade for grazing llamas and the occasional tourist. 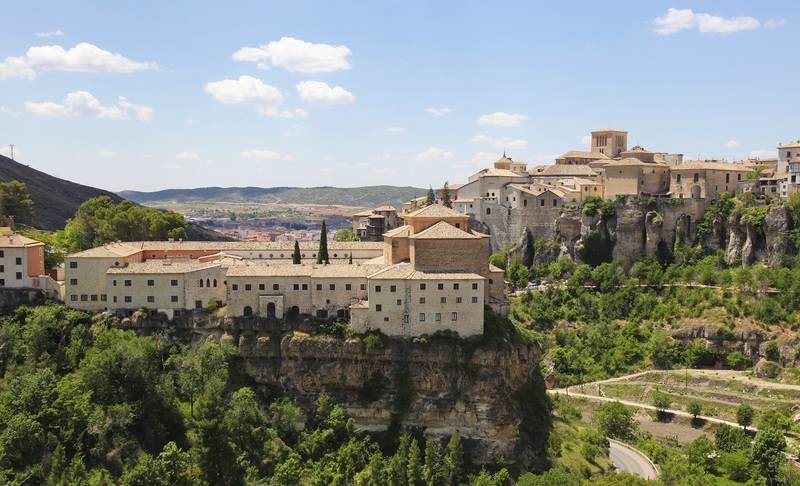 Tour the city as you wander the narrow cobblestone streets, marvelling at the architecture. The colonial centre has been beautifully restored; colourful flowers tumble from ironwork balconies and the whitewashed houses have grand wooden doors. The climate here is temperate and you'll enjoy relaxing with a coffee in a leafy square. 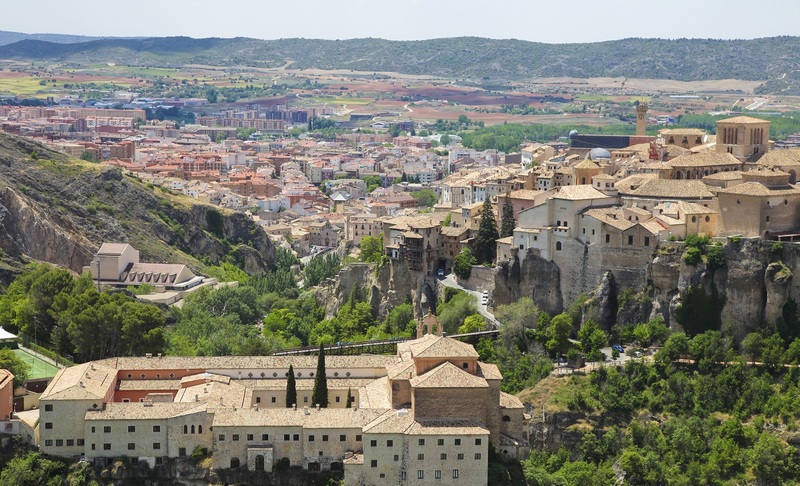 Cuenca is a great place to wander or relax in but if you want to get out of the city you could visit the nearby market towns of Gualaceo, Chordeleg, and colonial Sigsig, set in the foothills of the western cordillera. 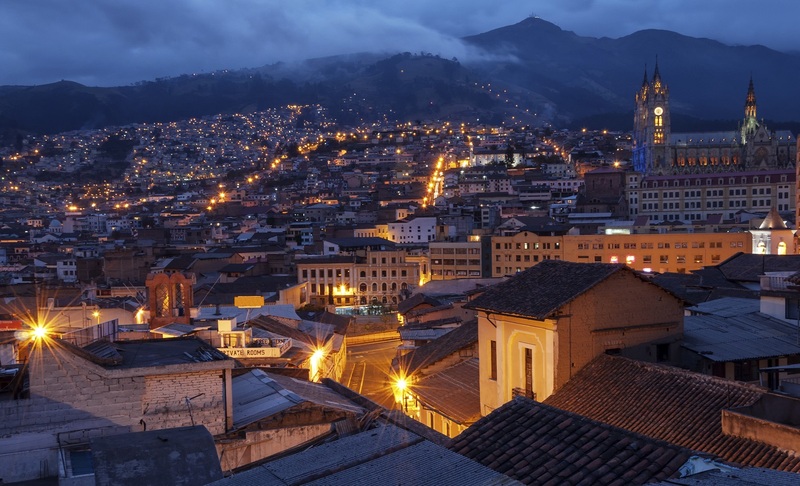 En route there is a chance to stop and barter for silver and gold filigree jewellery, and to see craftsmen making guitars and using nimble fingers to weave Ecuador's most famous export, the Panama hat. 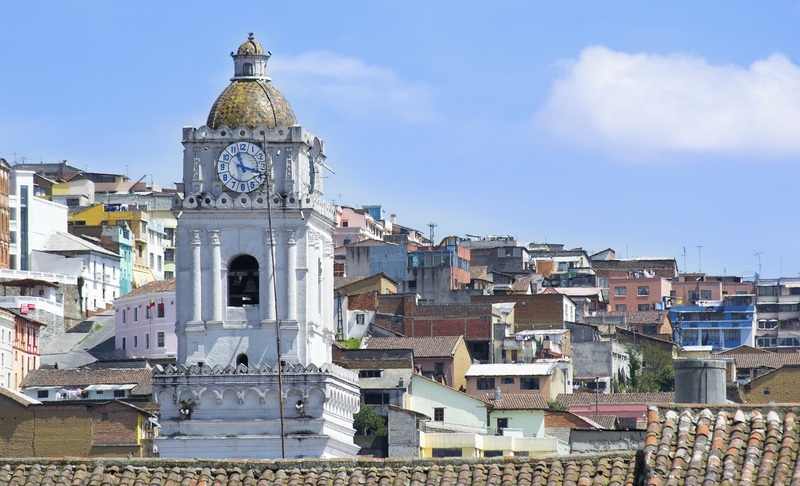 Today we travel from the mountains down through the tropical lowlands to the port city of Guayaquil. It is a spectacular drive that truly contrasts the scenery in this small country, as you pass from Andean villages to banana plantations. On the way we stop at the Las Cajas National Park. Beautiful trails pass through this rugged, high-altitude wilderness of grasslands, jagged hills and glacial lagoons. You will be sure to pass herds of serene, grazing llama, and perhaps spot a spectacled bear, a puma or a tigrillo, all of which inhabit the area, as do many species of bird, including the Andean condor and, at the other end of the scale, the tiny hummingbird. 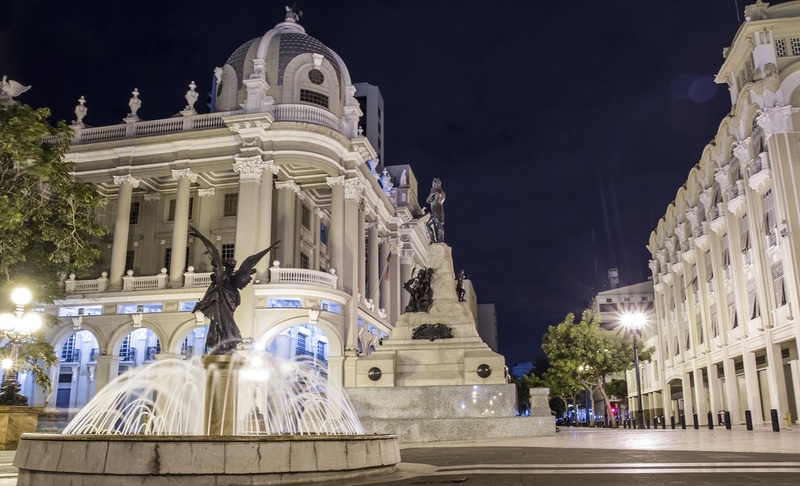 Guayaquil, Ecuador's largest city, is situated on the banks of the River Guayas, and has gone through something of a transformation in the last few years. The expanse of waterfront has been made into an outdoor architectural showpiece, and restoration work has taken place along the city's main thoroughfare and in the historical neighbourhood of Las Peñas. 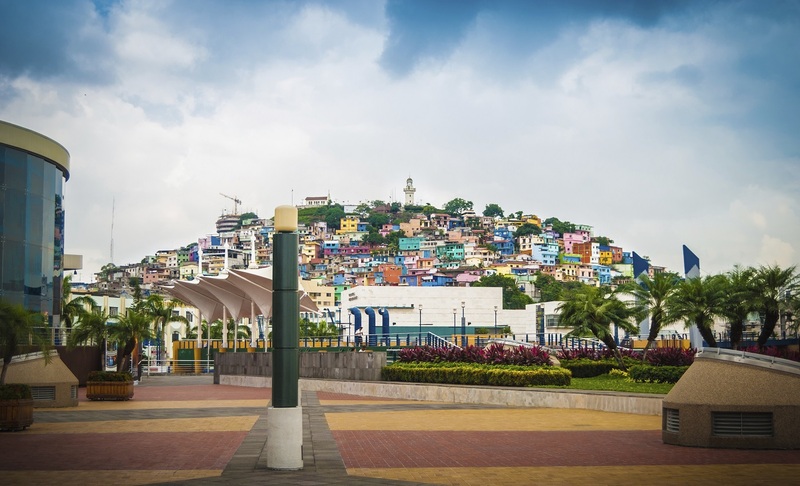 Time permitting, you can take a walk from the frenetic, noisy open market at La Bahia, and past the colonial naval shipyard to the Malecón, Guayaquil's crowning jewel. Stroll past tropical gardens, markets and street cafés, and head to Santa Ana Hill and Las Peñas, a district of brightly-coloured wooden houses and ramshackle streets dating back to the 16th century. You say goodbye to the professional partnered tour leader, who will take you to the airport for an early morning flight to Baltra Island, part of the Galápagos archipelago. Once you've paid an entrance fee, your naturalist guide will be waiting to take you to Puerto Ayora, around 40mins away, and here you board your motor yacht. 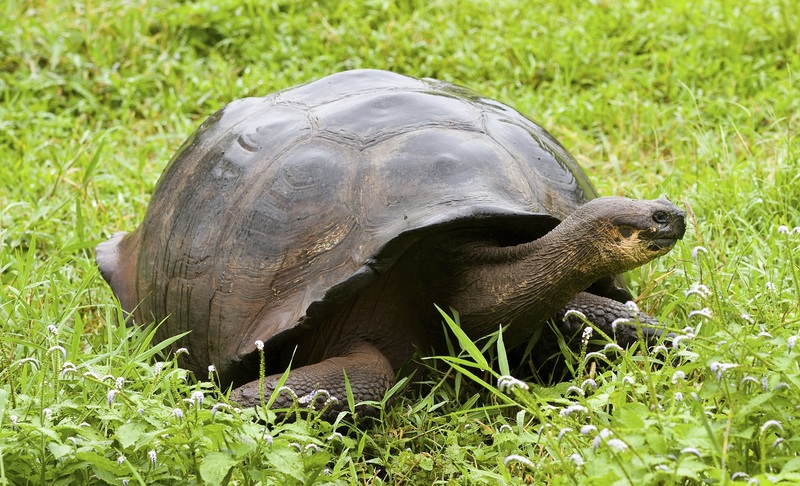 The Galápagos Islands emerged 6 million years ago after a spate of volcanic activity, and have become home to unique animal and plant species. The islands were the inspiration for Charles Darwin's theory of evolution, which formed the basis for his revolutionary book 'The Origin of Species', published in 1859.Although geologically these islands are constantly on the move, they remain suspended in time, with giant tortoises, iguanas, penguins, numerous bird species and a wealth of rare flora all thriving there. For many, the fascinating and unique wildlife and natural beauty of the islands are matched by the thrill of being at sea. Find a spot on deck as you make your way through the ocean, trailed by flocks of birds and playful dolphins. The boats are relatively small, creating an informal atmosphere, and the service is of a high standard; the crew is attentive and the food very good. Cabins with en suite facilities are compact but comfortable for your seven nights on board. There are common bar/lounge areas as well as a sun decks. Beach towels are provided, and basic snorkelling equipment can be borrowed. 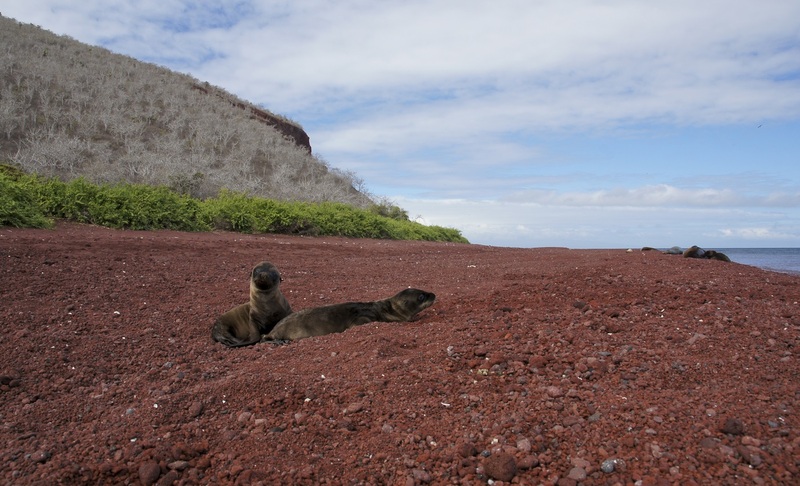 The itinerary for your days in the Galápagos is subject to change for operational reasons and according to the rules of the Galápagos National Park authorities. There are normally two landings a day, on which you are accompanied by your guide in search of the different wildlife that inhabits the islands. Below is a summary of the islands that you visit on this journey, and the animals and birds that can be found on each of them. The Santa Cruz island has the largest human population of the five inhabited islands. Some 4,000 residents are distributed between the cattle farming communities in the lush highlands and the coastal town of Puerto Ayora, which is mainly dominated by tourism. The Charles Darwin Research Station here is staffed by international scientists conducting biological research and conservation projects. The Fernandina island is one of the world’s most active and impressive volcanoes, having erupted at least 10 times in the last 150 years. 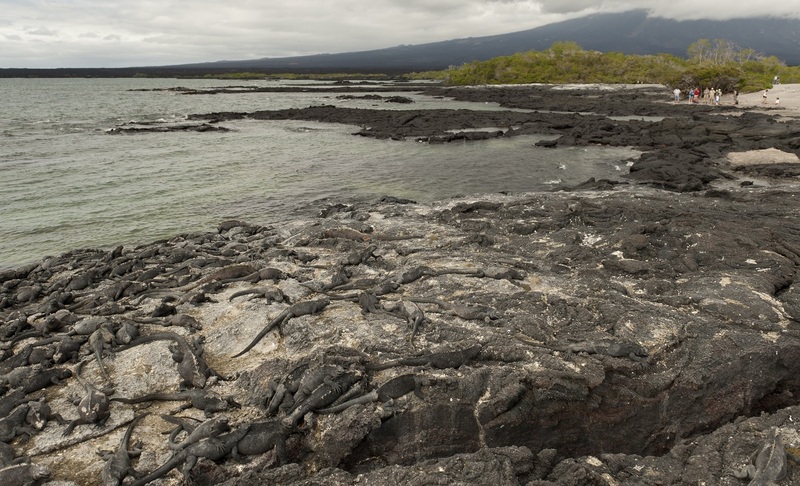 The lava fields offer a ‘land without time’ landscape and the island is home to a huge colony of marine iguanas, flightless cormorants and some penguins. 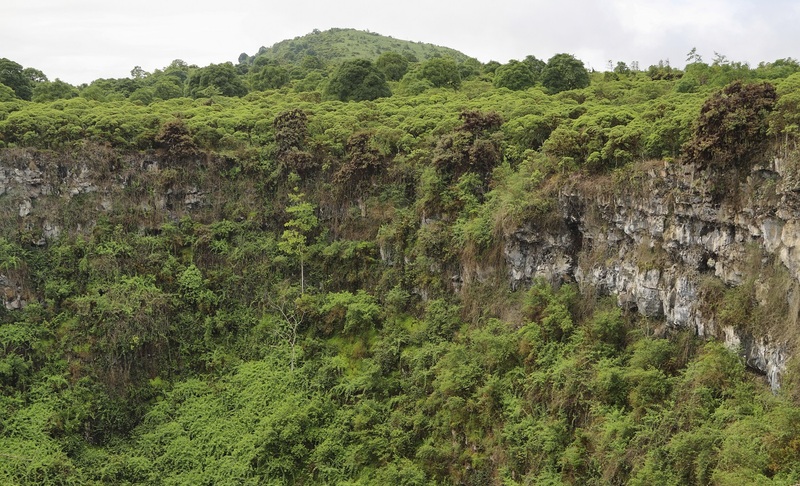 The Isabela largest island in the archipelago, it has 5 volcanoes forming a chain down its spine. The most famous sites are situated on the western side, such as the impressive and spectacular inlets of Vincente Roca, with its high cliffs, lava formations and wonderful marine life. Urbina Bay offers an impressive array of birdlife including finches, warblers and mockingbirds, whilst Elizabeth Bay lined with mangroves is home to turtles and rays. The James island is one of black rocks and little shade, and the western coast is pitted with lava pools and caves which are home to a wealth of marine life. You may well see herons and oyster catchers as well as Galápagos fur seals playing in the deep, cool water pools, and marine iguanas grazing on algae beds alongside colourful Sally Lightfoot crabs. Rabida Island is unique because the red colour of the rocks and sand. The volcanic material in this island is very porous and external factors as rain, salt water and sea breeze have acted as an oxidizing agent. A short walk along a trail lead us to a coastal lagoon behind the beach permits the observation of land birds as finches, doves, yellow warblers and mocking birds. At the lagoon there is a colony of flamingos. 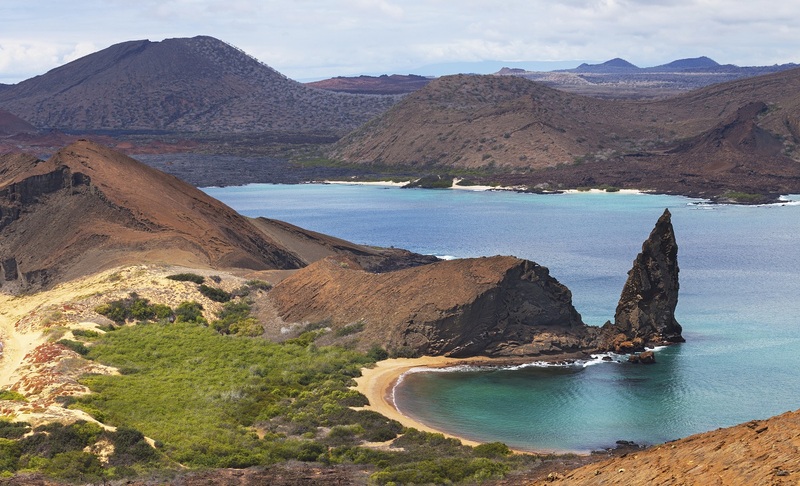 Bartolome Island has an altitude of 114 meters, from where you can observe one of the most beautiful sceneries of the Galapagos Islands such as: Volcanic cones, lunar like craters, lava fields, and the famous Toba formed pinnacle eroded by the sea. There is very little vegetation on this island. 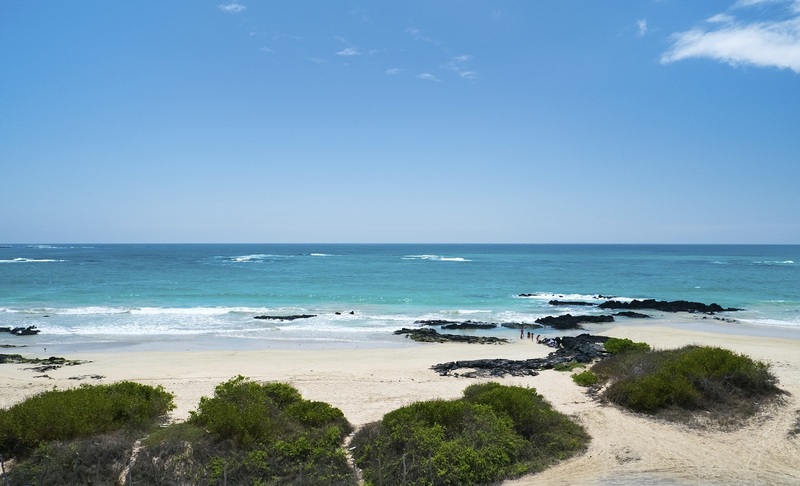 It has two breathtaking beaches where marine turtles exist and at the base of the pinnacle, as well as a very small colony of Galápagos penguins. Today we bid farewell to Galapagos Islands where you will be transferred from your Hotel to the airport in time for your International departure flight. This tour operates with a minimum of 4 and a maximum of 20 passengers. The minimum age is 12 years. Hotels are subject to change due to availability. 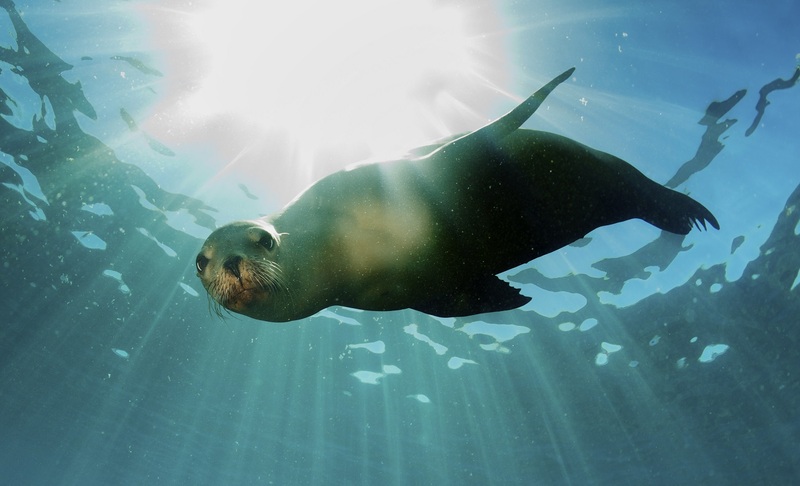 The vessel used on the Galapagos Islands is the MC Galapagos Seaman Journey.